Emotiv Systems, the pioneer in brain computer interface (BCI) technology, has unveiled the Emotiv EPOC™ (a neuroheadset that allows players to control gameplay with their thoughts, expressions and emotions) in its final consumer form, during a live interactive demonstration at the Game Developers Conference in San Francisco. Emotiv and IBM announced that they intend to explore the potential of Emotiv’s BCI technology beyond the gaming market, into strategic enterprise business markets and virtual worlds, to make these environments more personal, intuitive, immersive and ultimately more lifelike. 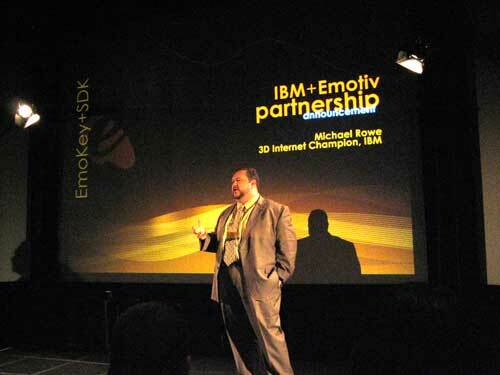 IBM intends to explore how the Emotiv headset may be used for researching other possible applications of Emotiv’s BCI technology, including virtual training and learning, collaboration, development, design and sophisticated simulation platforms for industries such as enterprise and government. The brain is made up of approximately 100 billion nerve cells, which are called neurons. When these neurons interact, an electrical impulse is emitted, which can be observed using non-invasive electroencephalography (EEG). 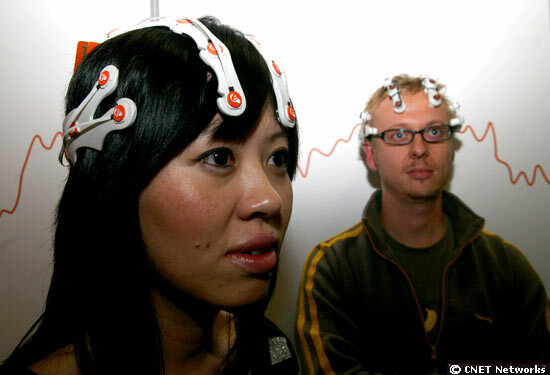 Brain computer interface technology works by observing an individual’s electrical brain activity and processing it so that computers can take inputs from the human brain. Human thoughts, expressions and emotions can therefore control and influence an application. 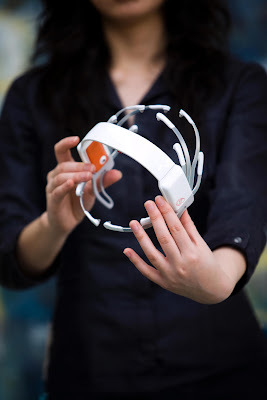 The Emotiv EPOC detects over 30 different expressions, emotions and actions which include: emotional detections such as immersion, excitement, meditation, tension and frustration; facial expressions such as smile, laugh, wink, crossed eyes, shock (eyebrows raised), anger (eyebrows furrowed), horizontal eye movement, smirk and grimace (clenched teeth); and cognitive actions such as push, pull, lift, drop and rotate (on six different axis) as well as a completely new category of action based on visualization, the first of which is the ability to make objects disappear. As a result of these detections, players will enjoy a more immersive, lifelike experience. Games will be able to respond dynamically to player emotions, enabling, for example, more sophisticated dynamic difficulty adjustment. 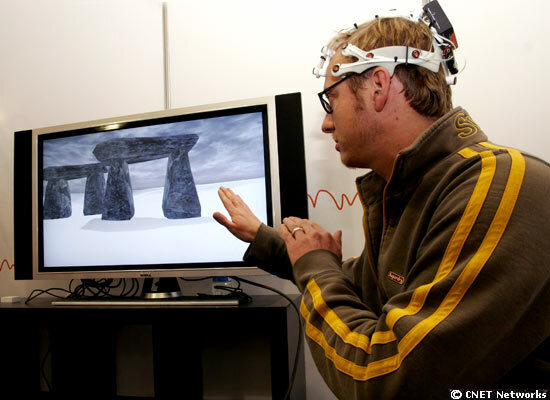 Players can more easily simulate the magical or fantastical aspects of gaming by controlling certain actions and expressions and manipulating objects in the game using their brains instead of a keyboard or controller. In addition to these detections, the Emotiv EPOC incorporates a gyroscope, which enables the camera or cursor to be controlled by head motions. The Emotiv EPOC will ship with game content developed specifically by Emotiv to enable players to explore all the possibilities of brain-controlled gaming. In addition, users will have access to the Emortal, a next generation online portal that allows users to access and experience content through the neuroheadset. Designed as a spatial representation of a cityscape, users access the Emortal through a browser. They can walk though the cityscape and discover games and other applications that integrate with the Emotiv EPOC and download them. They can also upload their own content, such as music or photos, and experience them through the headset. Additionally, the portal provides an opportunity for social interaction with other Emotiv EPOC users through chat or community areas. The portal will be launched later this year in conjunction with general availability of the neuroheadset. Consumers can also experience any of their favorite PC games through the neuroheadset, by using the Emotiv EmoKey, which allows the user to link any detection to any action in the game. 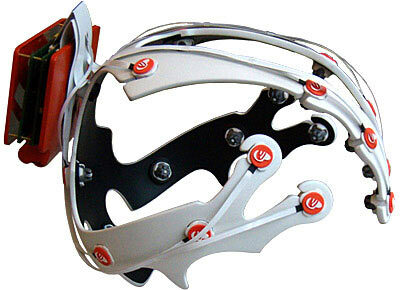 Emotiv Systems is a pioneer in brain computer interface technology. 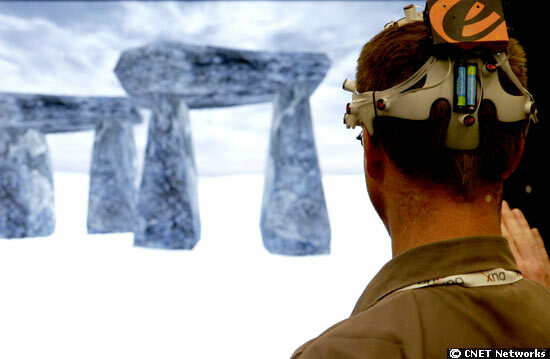 Its mission is to create the ultimate interface for the next-generation of man-machine interaction. It does this by evolving the interaction between human beings and electronic devices beyond the limits of conscious interface. 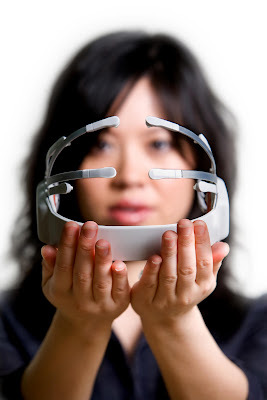 Emotiv creates technologies that allow machines to take both conscious and non-conscious inputs directly from your brain. These technologies include a hardware and software platform that is being licensed to application developers and other third parties worldwide. Emotiv is announcing the world’s first consumer neuroheadset, the Emotiv EPOCTM as part of a complete product offering for consumers. 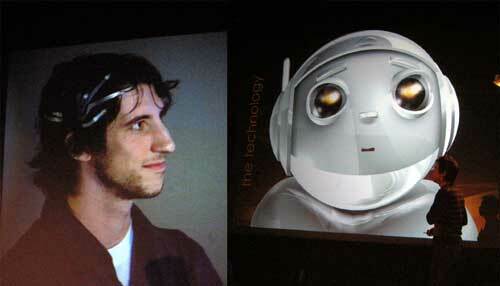 Today, Emotiv is developing solutions specifically for the electronic games and entertainment industry. In the future, Emotiv’s technology has the potential to be applied to numerous industries, including interactive television, accessibility design, market research, medicine, and security. Founded by four award-winning scientists and technology entrepreneurs, Emotiv is headquartered in San Francisco, CA, and has offices in Sydney, Australia. Investors include Technology Venture Partners, Epicure Capital Partners and the Australian Federal Government. More information is available at https://www.emotiv.com/.